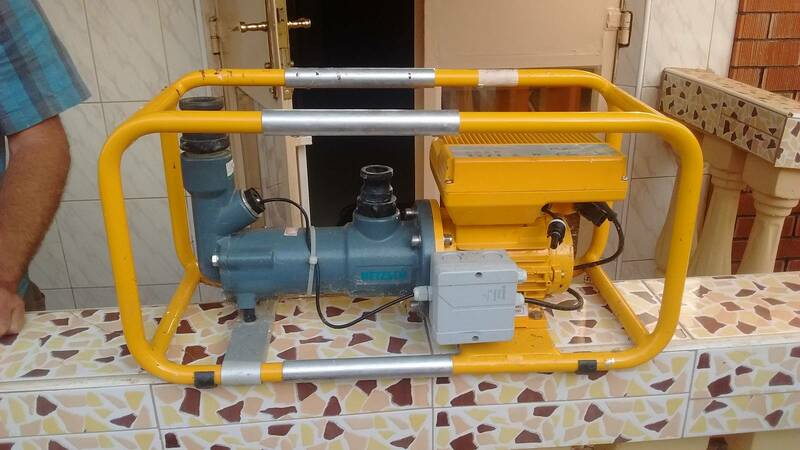 This water pump works on solar power directly. It has a built-in solar controler. It is produced by Swiss company, I just guess "Ennos". The price in Uganda is way too much, it is good for richer people or companies. What is good is that it can push water on long distance, even 2 kilometers. The watter supply by this pump is not sufficient for direct mining purposes. It may be used for collection of water in water tanks for later work.